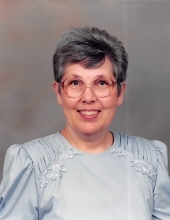 Shirley A. Hahn, 79, of Lincoln, passed away Monday, February 4, 2019. Born to Orville and Myrtle (Mahloch) Diekmann on January 6, 1940 in Beatrice, Nebraska. She enjoyed sewing, reading, and yard work. Shirley is survived by her children; Jeanie (Michael) Navrkal, Julie Molitor, Scott (Karla) Hahn, grandchildren; Emma, Ellie Hahn, Josie, Fes, Jorja Molitor, brother; Allen Diekmann, sister; Sondra Davidson. She was preceded in death by her parents; Orville and Myrtle Diekmann, daughter; Jody, brother; Mike Diekmann. To send flowers or a remembrance gift to the family of Shirley A Hahn, please visit our Tribute Store. "Email Address" would like to share the life celebration of Shirley A Hahn. Click on the "link" to go to share a favorite memory or leave a condolence message for the family.